Blizzard has updated their game guide with some of the general game changes in Patch 2.3, including the increased rewards and perils you’ll find on the new, higher levels of Torment. We wrote an article about this back at the start of the PTR, trying to figure if Torment 10 was worth it, and included the interesting figures *not* listed on Blizzard’s page. Here’s the official Blue values for how all difficulty levels in the game scale up, in terms of exp, gold find, monster damage, and monster hit points. Big damn jumps there, but remember that T7-T10 increase more per than T1-T6. T1 = GR10, T2 = GR13, T3 = GR16, T4 = GR19, T5 = GR22, and T6 = GR25, but above that things go up by 5s, so T7 = GR30, T8 = GR35, T9 = GR40, and T10 = GR45. And the game grows harder more than it does more rewarding, which is why comparing T10 vs. T6 = 25x higher monster hit points and 4x higher monster damage, but only double the gold find and triple the exp. Torment 7-10 = +5 GRs. Those are the obvious changes though; the stuff you can see just hovering on the difficulty levels in the game creation screen. Our focus in that article from July was trying to figure out the undocumented stuff that you can only see by play testing. What does T7-T10 do to your chances of getting a Death Breath (or 2) to drop, to the number of Horadric Cache materials per bag, to the odds of a Rift Guardian dropping a Greater Rift Key, and to your chances of getting an Infernal Machine and/or Demonic Organ? The following are estimated figures from PTR testing and some live Patch 2.3 testing. These figures don’t seem to have changed much since the start of the PTR, but please hit the comments with corrections or agreements, so we can try to arrive at an overall community consensus. All % chances are estimates due to non-infinite testing time. Torment 6: 75% chance of 1 Deaths Breath per elite*, 90% chance of 1 Rift Key per Guardian, 3 Horadric Cache materials per bag, 50% chance of 1 Machine per KW, 100% chance of 1 Organ per Uber. Torment 7: 90% of 1 DB per Elite*, 100% for 1 Rift Key per Guardian, 4 Horadric Cache materials per bag, 70% chance of 1 machine per KWs, 50% chance of 2 Organs per Uber. Torment 8: 100% 1 DB and 10% for 2 DBs per Elite*, 100% for 1 Rift Key and 15% chance of 2 Rift Keys per Guardian, 4 Horadric Cache materials per bag, 80% chance of 1 machine from KWs, 90% chance of 2 organs per Uber, 25% chance of 3 organs. Torment 9: 20% chance of 2 DBs per Elite*, 25% chance of 2 Rift Keys per Guardian, 4 Horadric Cache materials per bag, 20% chance of a 2nd cache legendary, 90% chance of 1 machine from KWs and 30% chance of 2 machines from KWs, 50% chance of 3 organs per Uber. Torment 10: 33% chance of 2 DBs per Elite, 50% chance of 2 Rift Keys per Guardian, 4 Horadric Cache materials, 50% chance of a 2nd cache legendary, 99% for 1 machine from KWs and 33% chance of 2 machines from KWs, 75% chance of 3 organs per Uber. * Deaths Breath drop odds seem to be the same from Goblins and Golden chests as from Elites. Basically, as you go up from T7 and higher, you increase your drop odds for everything, and above T8 you start getting double and triple drops for lots of things you’ll never see more than 1 of on T6. The early sweet spot seems to be T7, since you almost always get 1 DB per elite, usually get a Machine from each KW, and always get the maximum (4) stacks of cache materials. T7 is the setting to speed farm bounties. Moving up higher than T7, especially going up to T10, pays off most obviously on the Infernal Machine event, since you get more machines per KW and more Organs per Uber. Don’t sleep on the chance for double Death Breaths on T8+, either. You’ve probably got thousands of them now, pre-season, but you can never have too many. DBs were everyone’s crafting/cubing bottleneck on the PTR during Season 4 testing, (much more so than Forgotten Souls) and that economic state will surely return when S4 goes live this weekend. For farming Cube Act Resource Mats, T7 is the way to go for sure. Tell me about the Ancient drops. Also, the differences (if any) in gear drops between T10 Rifts and GR45, other than getting a lot more Breaths in regular T10 Rifts. It was hard to tell during the PTR b/c it was bugged for so long, even when they didn't turn on the gear spigot. Yeah, I'm waiting for more data to make any projections about legendary drop rate on higher difficulties. It was impossible to judge on the PTR since much of the time the +2000% buff was active. Lost my barb on T10 last night due to low single target DPS on the butcher. 🙁 Was flying through T10 without much issue, cleared 4/5 bounties in Act 1 and headed off down to Halls 3 for the Butcher. Wasn’t really thinking about the wipe timer and after I got him to about 60% I basically knew I was dead. No reason to be in T10 I guess if it just makes more sense to do T7. The more you know. Yesterday i got 3 materials from ubers when doing them on T8 so also on T8 it starts to drop that amount. It may have been different on the PTR, but I have tested on live and you can see anywhere from 0 to 2 Machines from Key Wardens on T10. On the PTR I never got less than 1 machine on T10. But it was so hard to create games that I didn't do that many runs, so RNG needs more data. And/or it might have changed in the live patch, which is why feedback like yours is useful. I played 2 quick games today on T10, and got 1/0/1/1, and 1/1/1/1 for machines. I got 3/3/3/3 for organs both games. So clearly it's not 100% drop rate for machines even on T10, and maybe they lowered the chances of 2 machines also? On the PTR my usual machine luck on T10 was something like 2/1/1/2. Just 2 games isn't sufficient RNG to draw any firm conclusions, though. In the estimates the drop chance of 1 machine from Key Wardens drops going from T7 to T8. Surely that's a mistake. i mainly farm bounties on t10 cus i open also the now a cow lvl and the goblin rift if a goblin don’t open one. On T2 I was getting 3 Act Leg Mats from one Cache. (HC) Did a few group uber run yesterday on T8 with drops being2/3 organs. Then went to T9 and the drops were 2/3 as well. Just had 3 KW’s in a row with NO DROP at Torment 10 with me being in that region nearby. I guess its bugged other people have had the same problem. 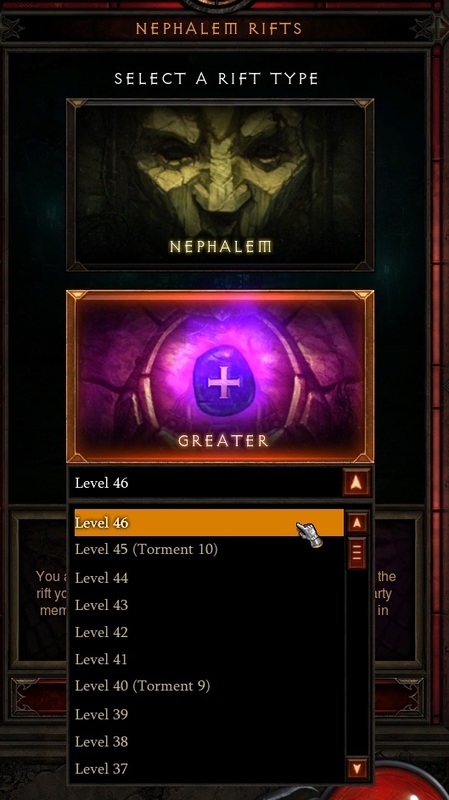 Before each torment level increased the chances of a legendary drop by 15%. Does this continue T7-T10? Is it still 15%? We'll have to wait on Bliz for leg drop rate increases. Or much more player testing to absorb enough RNG to try and draw conclusions. I've done some games of T7 and some of T10 so far in live, and didn't really notice any difference (between those or between T6 in the ago) in leg drop rate. I only did bounties and a couple of Rifts, though. Nice post Flux! Very much needed for the frail sanity that Blizzard fans have.